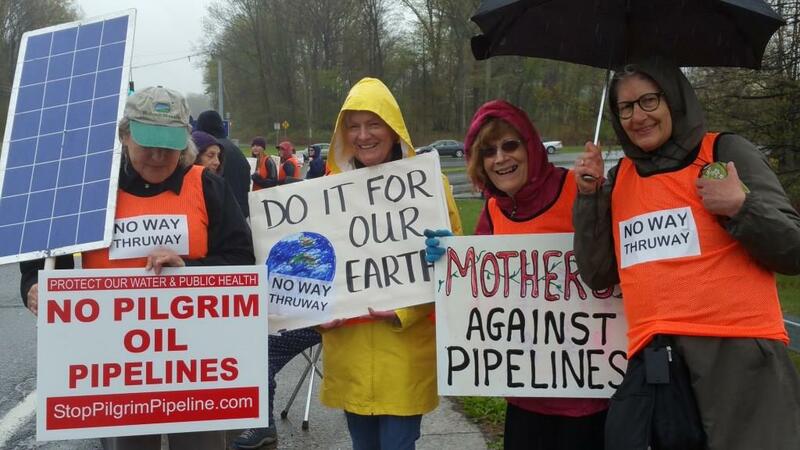 Invoking the international distress signal, the New Paltz Climate Action Coalition and the Coalition Against Pilgrim Pipelines-NY drew over 90 people out in the cold rain to three rallies on Sunday, May 1, expressing growing concerns about the pair of petroleum pipelines’ threats to our communities’ climate, drinking water, safety, economic well-being, and public health. 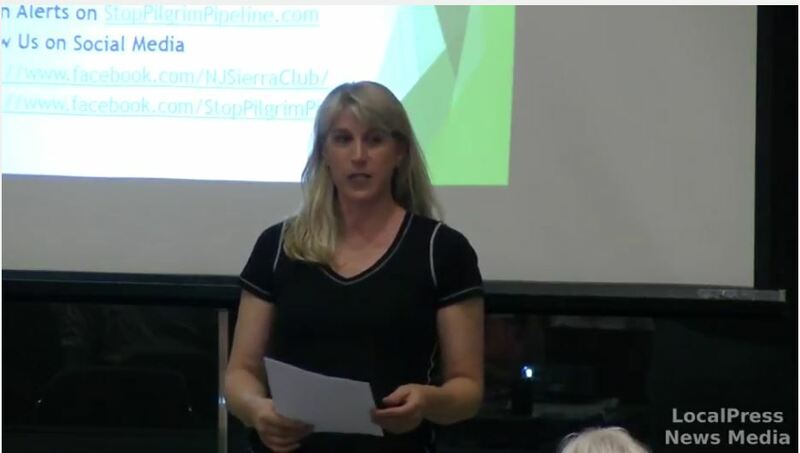 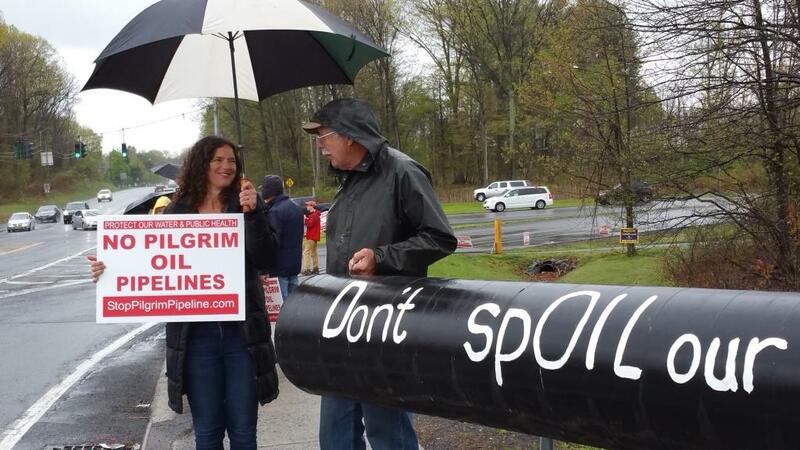 Governor Cuomo, fight for your own clean energy goals for New York State and direct Thruway Authority to reject Pilgrim Pipelines’ application to use Right of Way. 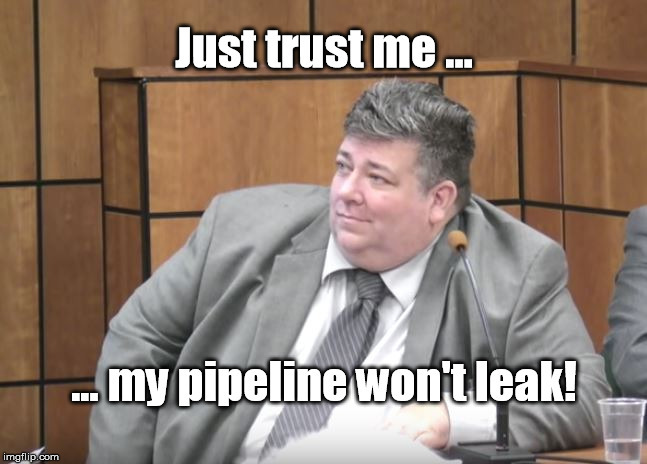 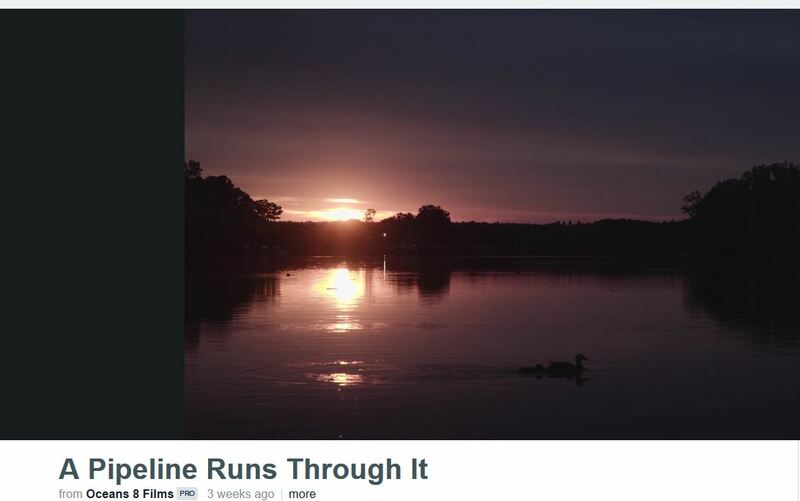 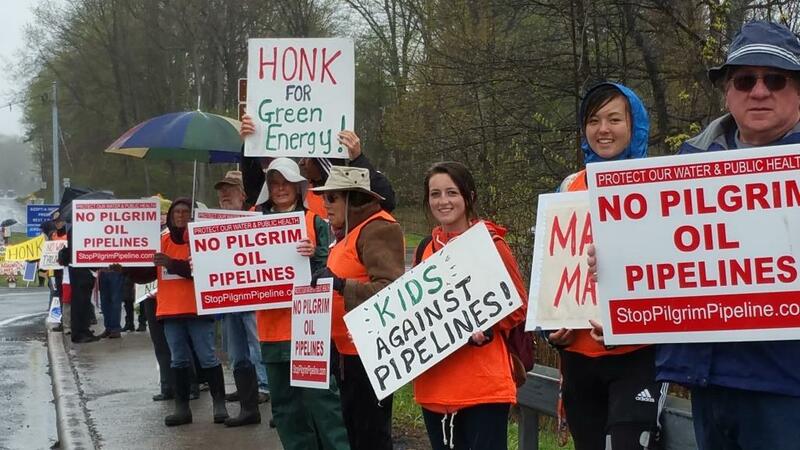 New York State Legislature: Pass Bill A9831a in the Assembly, and pass a similar bill in the Senate, to prohibit hazardous liquids pipelines along the Thruway Right of Way. 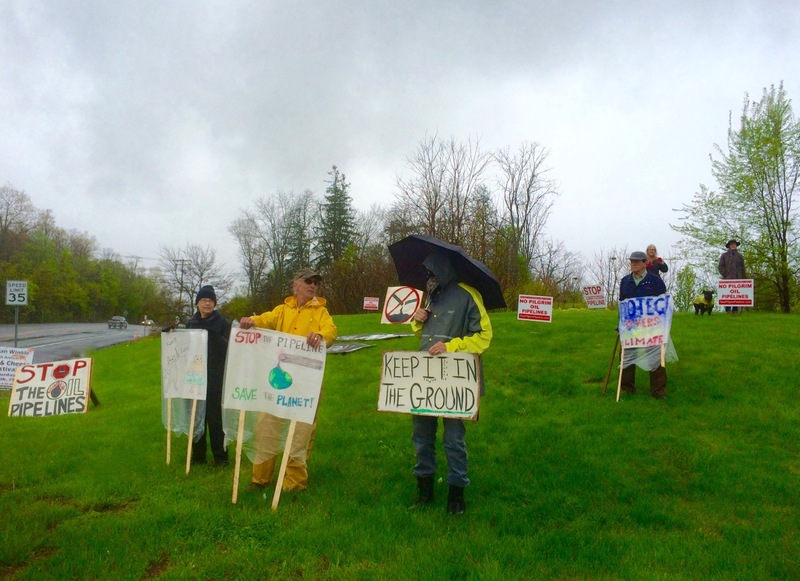 Commissioner Seggos of New York State Department of Environmental Conservation: DEC must act as sole lead agency for the environmental review, as municipalities have written 46 times, overwhelmingly objecting to the Thruway as proposed co-lead agency. 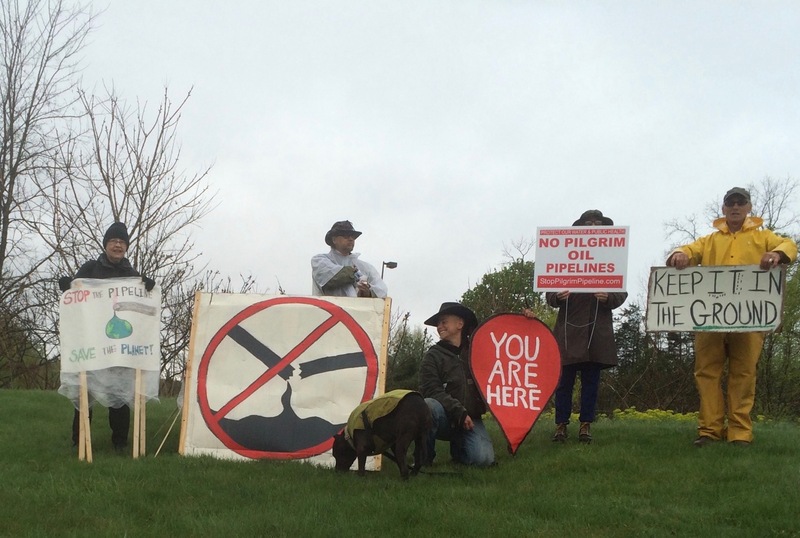 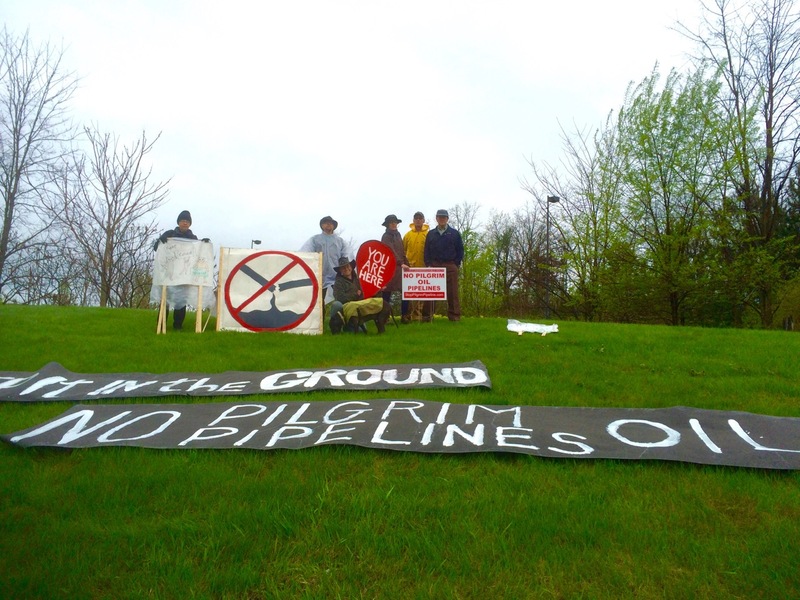 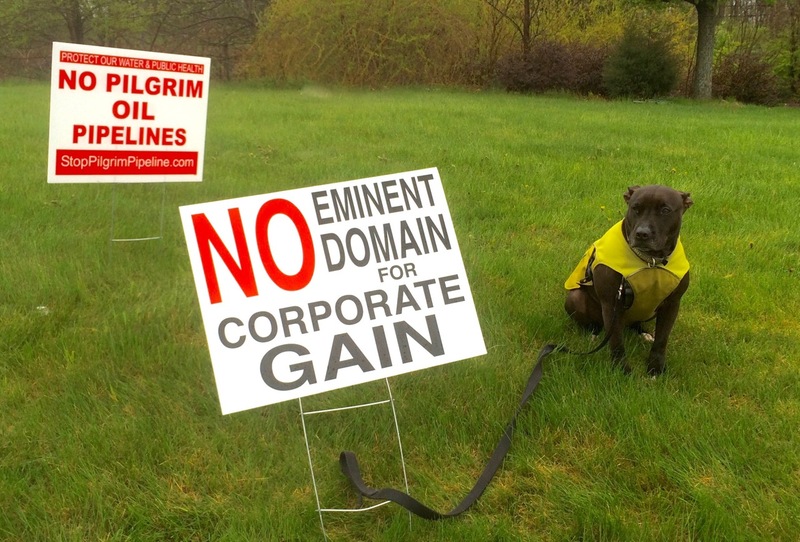 Thruway Authority and Department of Transportation: Deny the application for Pilgrim to use the longitudinal Right of Way for hazardous oil and petroleum products. 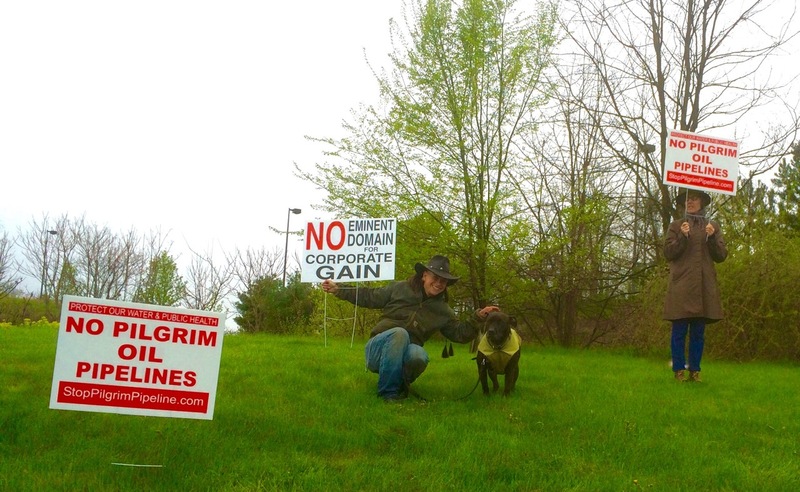 Such use is currently not allowed by the DOT and Thruway policies and would require an exception. 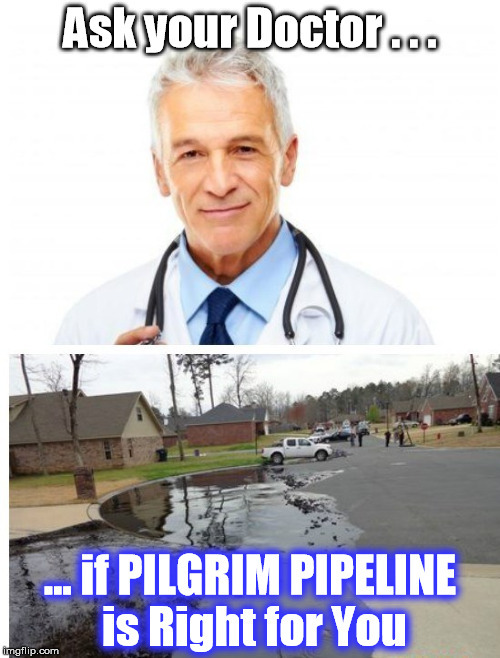 Do not grant that exception. 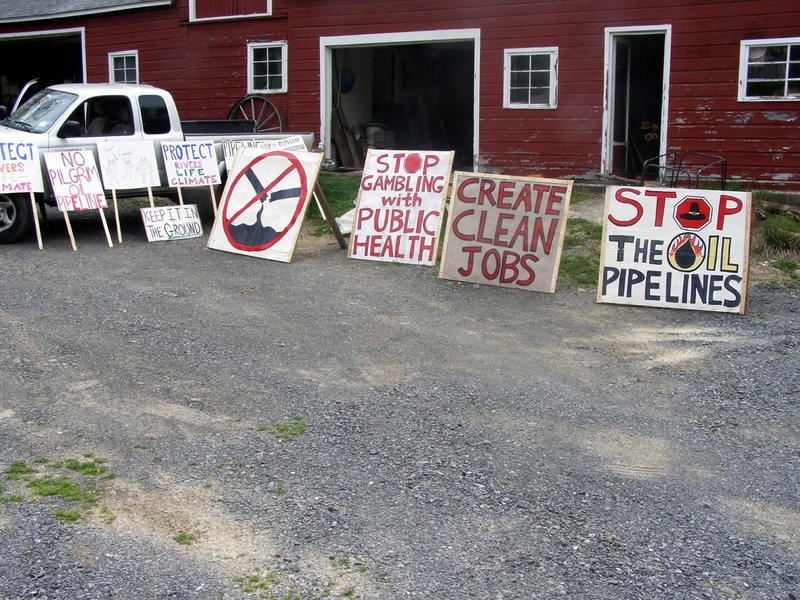 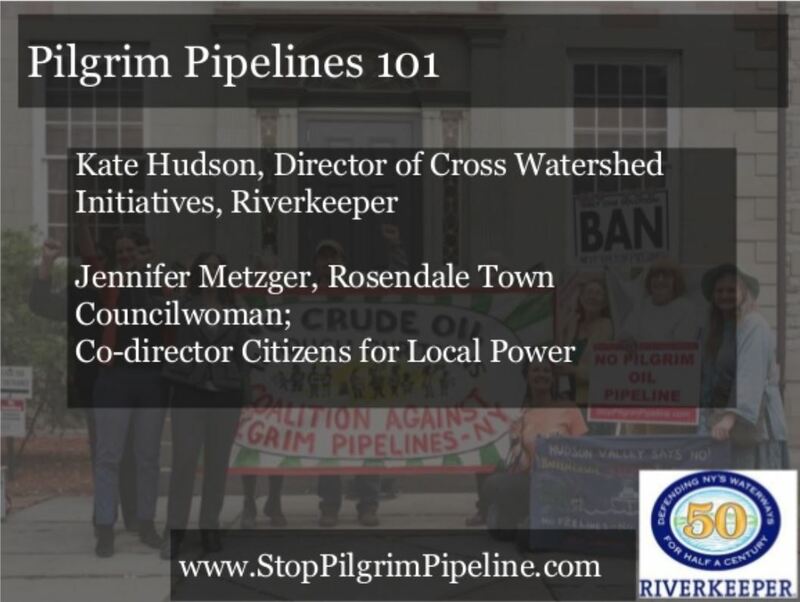 The groups also expressed appreciation for the municipal leaders in Catskill, Saugerties, New Paltz and 28 other municipalities in New York which have opposed the Pilgrim Pipeline and taken a stand against the New York Thruway’s proposed role as co-lead agency. 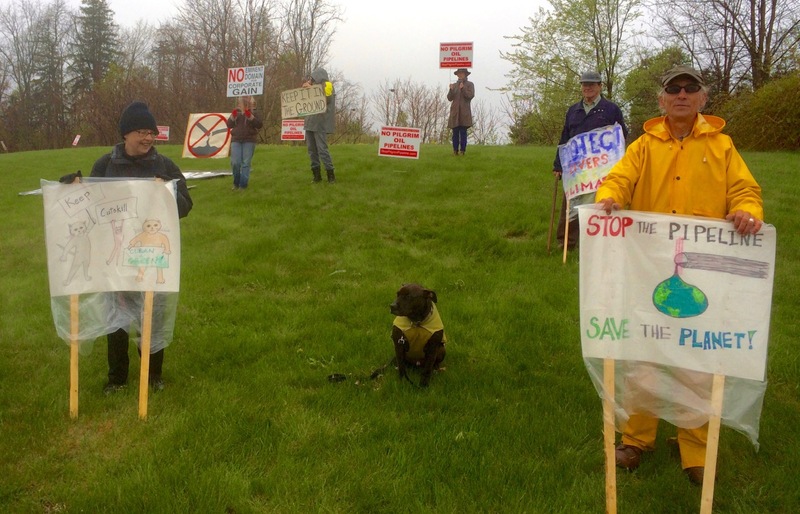 Here are some photos from the Thruway rallies on May 1.